These are no ordinary orchestral sounds. The sound of a real orchestra is one that can't be matched - it's big, broad and beautiful - but for this week's SampleRadar, we're bringing you a collection of synthetic symphonic sounds that have been royally messed with. As always, the samples are royalty-free, and they range in tone from the atmospheric to aggressively distorted. The samples are split into ten folders, each of which is labelled according to its tempo. In each folder there are sub-folders that contain different sound types, and the loops are contained within. 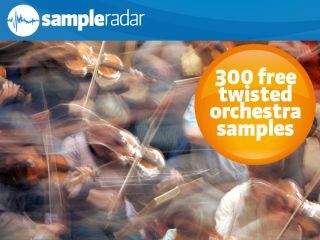 The twisted orchestra samples are supplied in a zip file, so you'll need to extract them before you can see them. Enjoy!